It can feel counterproductive having to rely on Home Care in Homestead, Florida. However, this is one of the best ways to maintain your independence. Through our professional care, we can offer you a helping hand with various aspects of your life, including mobility. We can help you exercise and ensure you can get around without the fear of falling. Stretching is one of the simplest things you can do when you want to improve and maintain your mobility. There are many forms of stretching you can do from basic stretching to yoga. By stretching on a regular basis, you are able to loosen up your muscles and improve your agility, balance, and coordination. This will reduce your risk of falling while still helping you maintain your youthful vitality. Exercise is another way to improve and maintain your mobility. Through regular physical activity, you can go a long way in improving many of your physical attributes such as strength, energy, and balance. Exercising can also release endorphins, which can help improve your mood and make you generally feel better. Make sure you stretch before exercising, as this can help improve your workouts while preventing cramps. 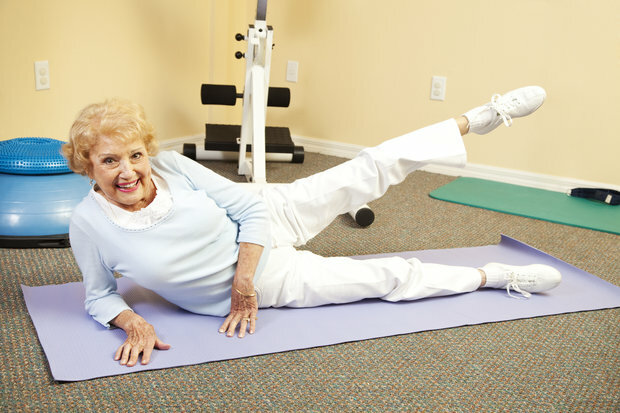 Through our Personal Care in Florida, we can help you exercise safely. Those are just a few ways to maintain your health and mobility as you get older. Old age can make it feel like you are losing your independence or ability to take care of yourself, but with some healthy lifestyle choices, it is possible to continue living the life you love. Courage Living Care & Services, Inc. also provides the Respite Care you need to make life easier, in the comfort of home. This entry was posted in Health Care, Home Care and tagged Companionship, Elderly Care, Personal Care, Respite Care. Bookmark the permalink.